Dr. Shocker – Burlesque JamborTease! All the Tease None of the Sleaze! 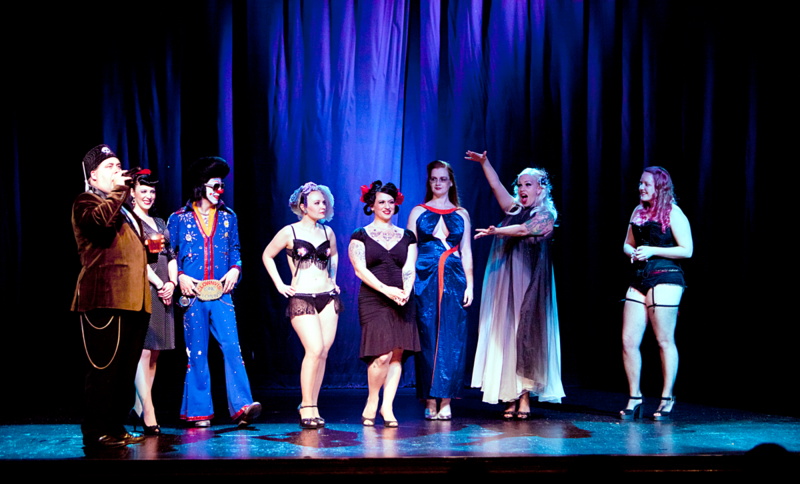 Dr. Shocker’s Burlesque JamborTease! at the Majestic Ventura Theater is the second incarnation of Dr. Shocker’s dream of bringing the class and style of traditional burlesque to Ventura. As an accomplished host he has performed on stages far and wide, including the Peepshow Menagerie, Monday Night Tease and Southwest Burlesque Festival. This combined with his promotion skills led him to fill a missing need in Ventura’s Nightlife. A forum for some of the most amazing burlesque and Cabaret performers from around the country. Get Your Own Burlesque JamborTease! Merch Here!! !